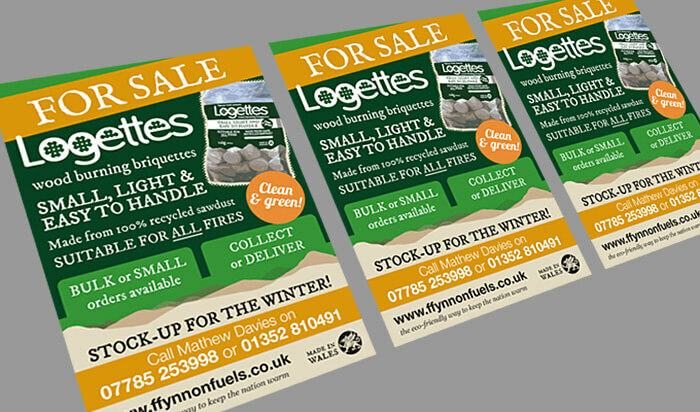 Logettes, a small wood burning briquette that’s set to make a big difference. 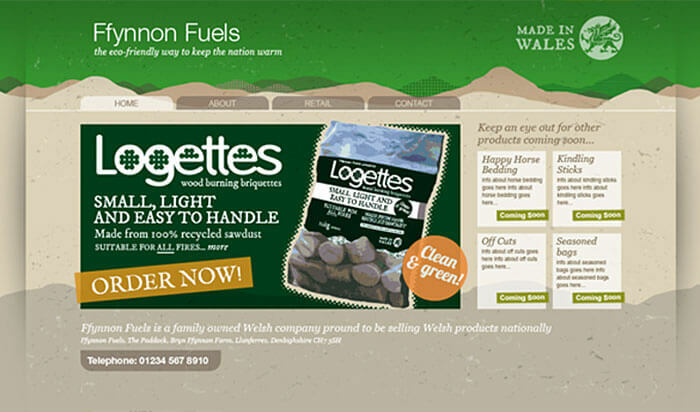 As a company who wanted to communicate their Welsh heritage and their unique, product, Ffynnon fuels needed an identity for both themselves and their first product, Logettes – wood burning briquettes. The main point of difference with Logettes is their size… being smaller makes them easier to handle and useable in all fires. We used the circular Logettes shape within the letters in their name to emphasise this, as well as the Welsh hills as part of their wider identity. Made from 100% recycled materials too. They just leave you with a happy glow all over.